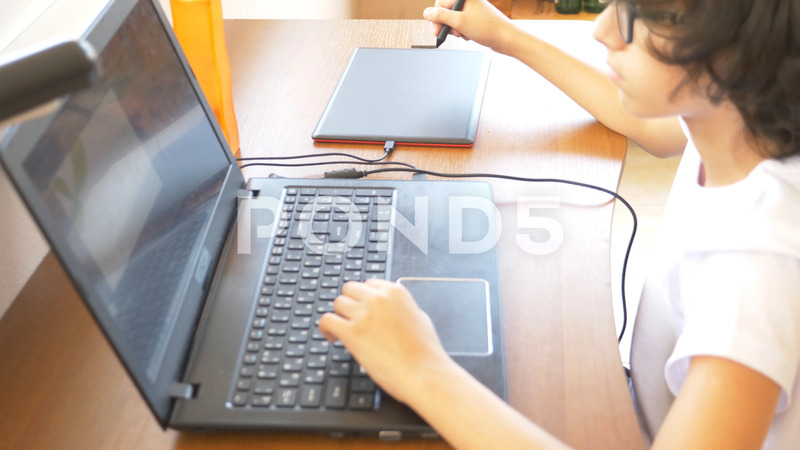 Description: handsome modern boy teenager working on a graphic tablet. he looks at the laptop screen. 4k, slow motion.